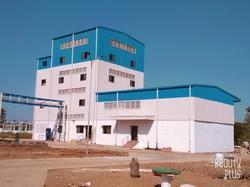 We are Leading Manufacturer of Prefabricated Cold Storage. We are engaged in offering our customers Pre Engineered Building System. We offer Industrial Buildings that suits every requirement of an industrial establishment. With years of experience, we have been offering the best services to the clients that enhance their business productivity. We construct the industrial establishments using excellent quality materials that are sourced from reliable and eminent vendors of the market.